The CURL interface of Jenkins is easy to use but i think its hard to find a good documentation about it and how to use it correctly. 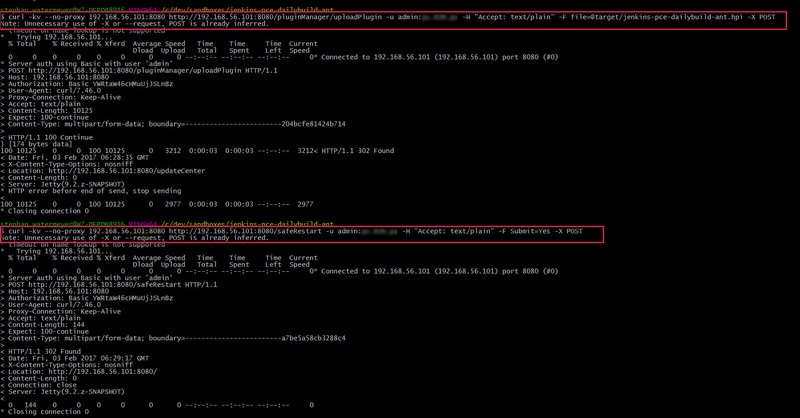 Therefore here is an easy tutorial, on how to install new plugins to your Jenkins box and restart it afterwards using CURL. 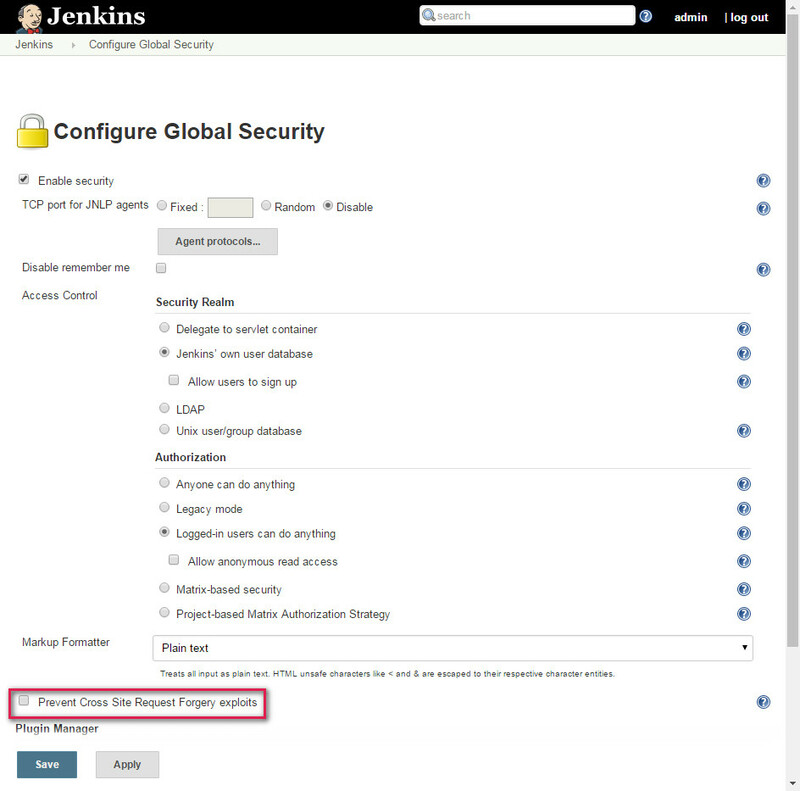 To allow POST requests to your Jenkins, you first have to disable the „Prevent Cross Site Request Forgery exploits“ in the Jenkins Security Details. 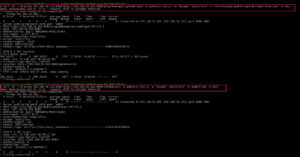 Otherwise on POSTing you’ll get the error: „HTTP/1.1 403 No valid crumb was included in the request„.